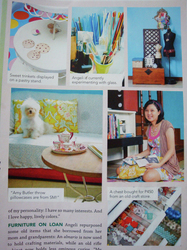 Real Living October 2009 - The Beadlady Craft Cafe and Art Studio - Imagine. Create. Inspire.